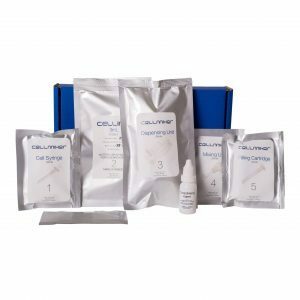 CELLINK’s GelXA incorporates a GelMA base, xanthan gum and alginate to enhance printability, ease-of-use and stability. 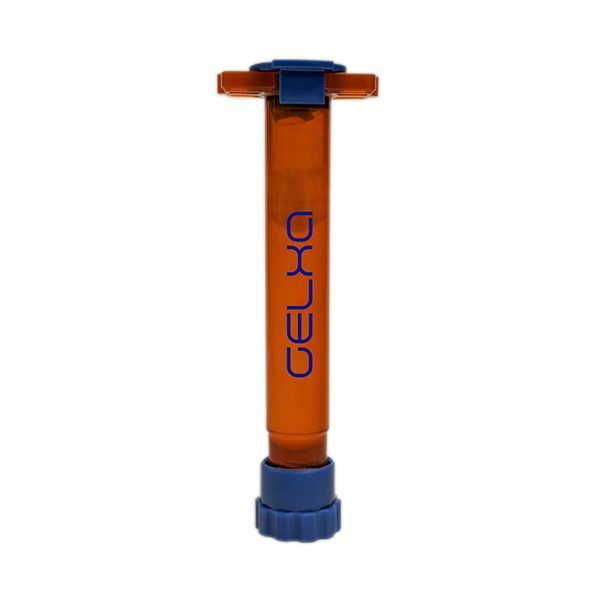 You can print it at room temperature and use photoinitiator-assisted crosslinking, ionic crosslinking or a combination of both. 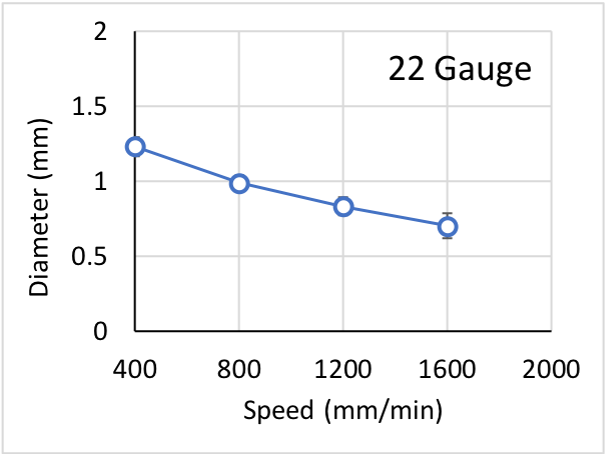 This diagram displays the printability behavior and characteristics of GelXA, when being printed with a 22 G conical tip at room temperature (approximately 23.4° C) at 30-40 kPa. There are a lot of factors involved in assessing printability. 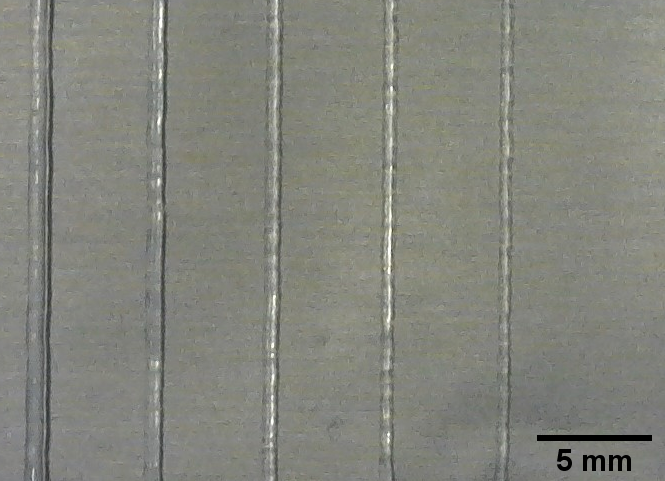 Here we can see how GelXA performs when printing straight lines at a printing pressure of 22 kPa. 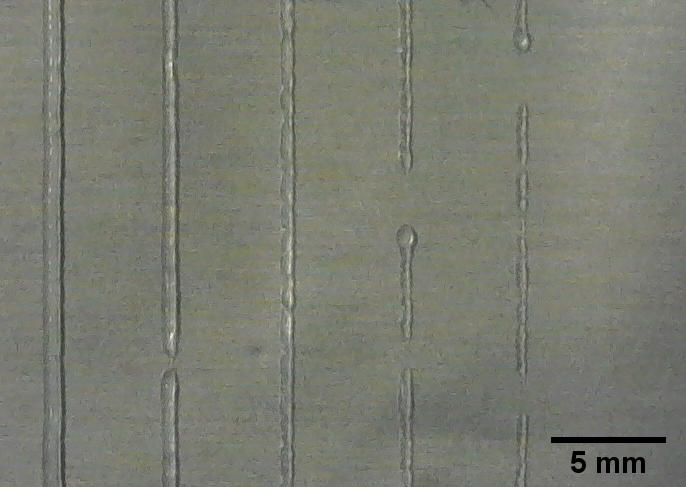 This diagram displays the printability behavior and characteristics of GelXA printed with a 25 G conical tip at room temperature (approx. 23.4° C) at 30-40 kPa. There are a lot of factors involved in assessing printability. 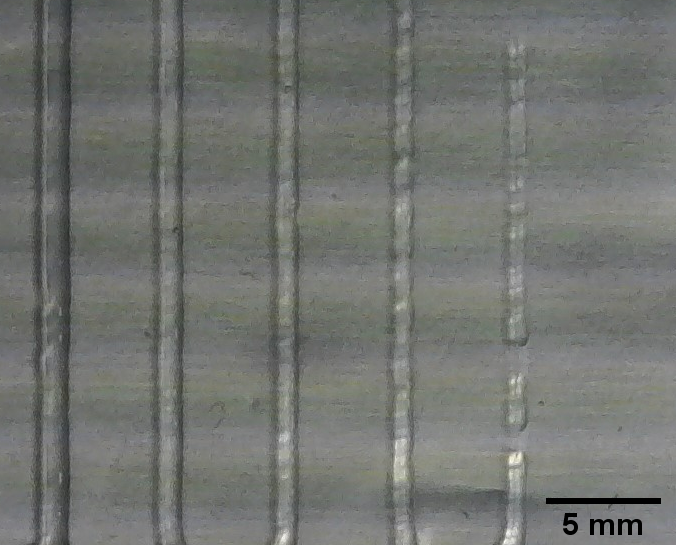 This shows how GelXA performs when printing straight lines at a printing pressure of 25 kPa. 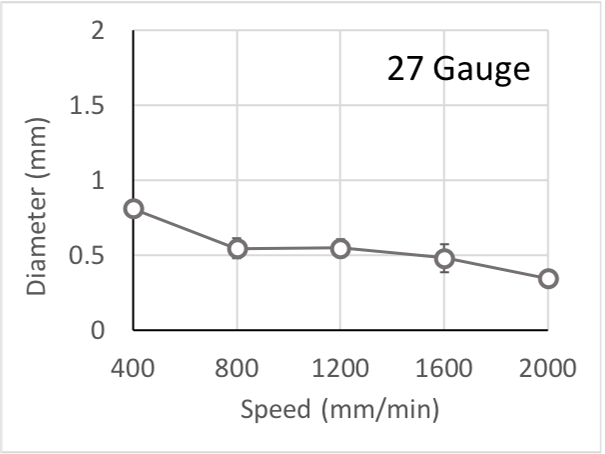 This diagram displays the printability behavior and characteristics of GelXA printed with a 27 G conical tip at room temperature (approximately 23.4° C) at 30-40 kPa. There are a lot of factors involved in assessing printability. 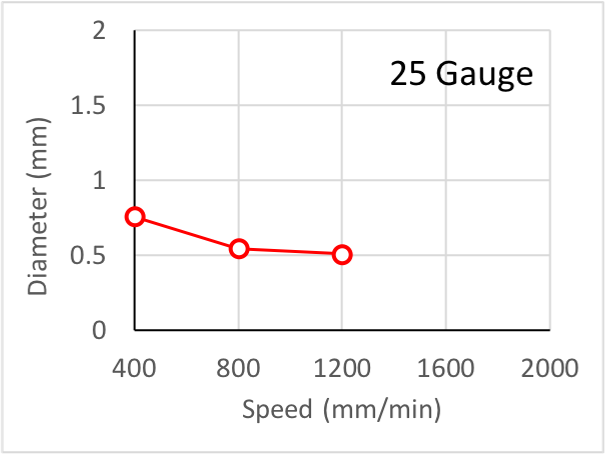 This shows how GelXA performs when printing straight lines at a printing pressure of 27 kPa.